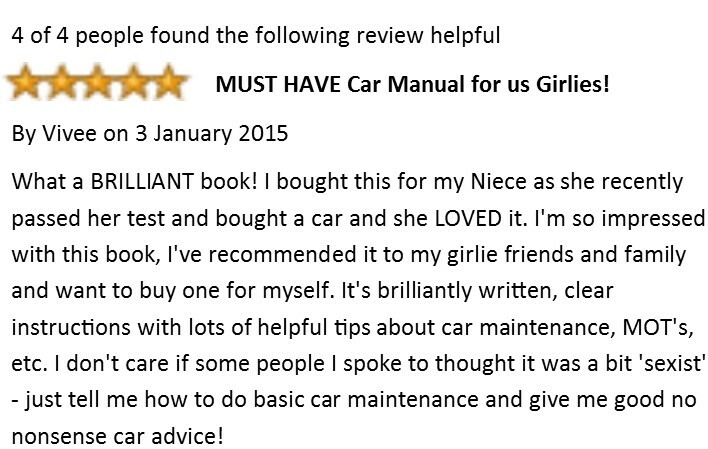 Women's Car DIY Manual Girl Power! In years gone by, men did the DIY, looked after the car and all other things stereotypically considered ‘male’. Women cooked, sewed, kept the house ‘spick and span’ and carried out other tasks considered stereotypically ‘female’. When I was at school, girls still weren’t allowed to play football and I’m not that old! Thankfully much has changed and in the 21 century, men cook and clean; women hang wallpaper, and are no longer afraid of a power drill. Sadly however, cars, mechanics and garages are one area that are still very much considered a ‘man thing’. 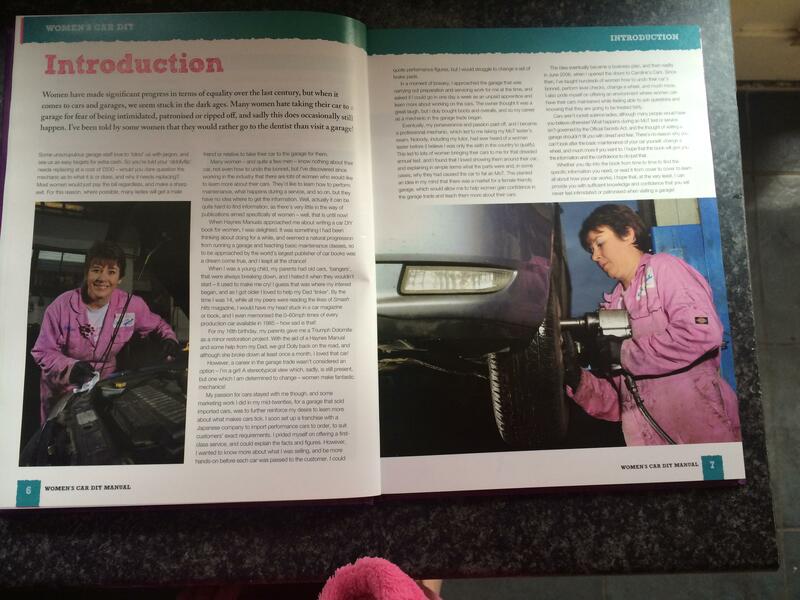 This is such a great shame because from personal experience women make fantastic mechanics and through the hundreds of women I have taught basic vehicle maintenance I have learned that once women have the knowledge they feel empowered and there is no stopping them! I have asked numerous students and customers over the years why they don’t check their oil or tyres etc. The answer is nearly always the same, they don’t know how and are too scared or embarrassed to ask and fear being patronised, put down or made to feel stupid. 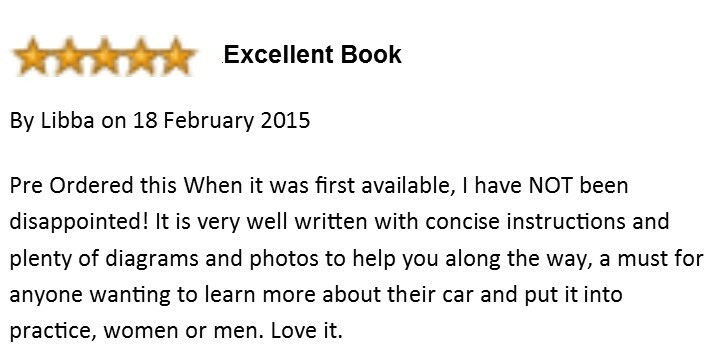 When Haynes approached me about writing a car book for women, to say I was thrilled is an understatement! 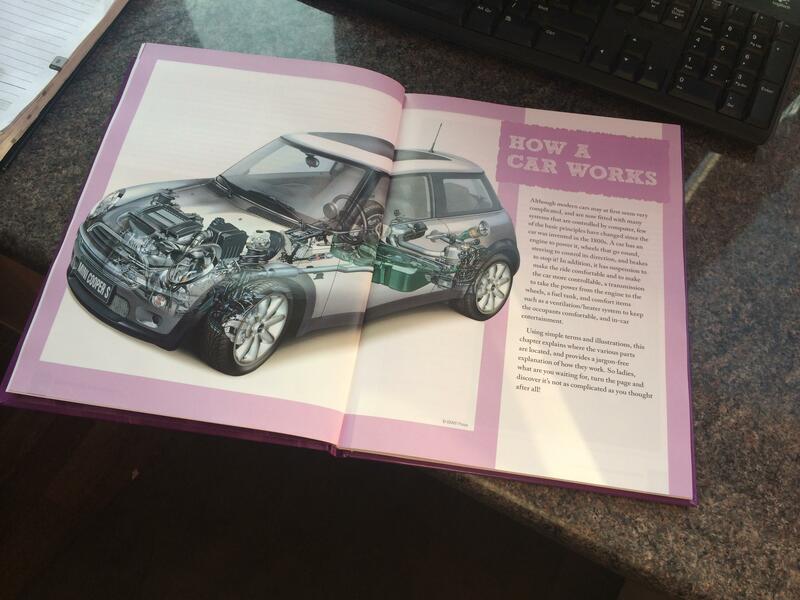 I had been thinking about writing a book for a while as it seemed a natural progression from running a garage and teaching car classes. So when the world’s biggest car book publisher contacted me I was literally jumping up and down! Since Haynes Publishing was founded in 1960, more than 150 million Haynes Manuals have sold throughout the world, more than half a million in the UK last year alone. To read more about the Haynes story click here. 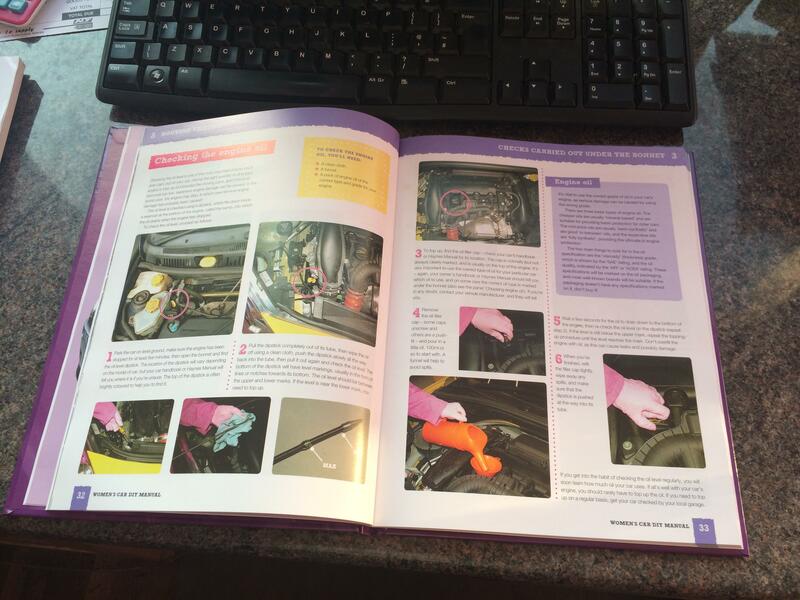 The manual covers a wide range of topics from how to undo your bonnet to how your engine works and much more in between. See the synopsis below. I hope that it will give women confidence to carry out routine maintenance on their car, feel more empowered when taking their car to a garage and maybe even change their own engine oil and filter! 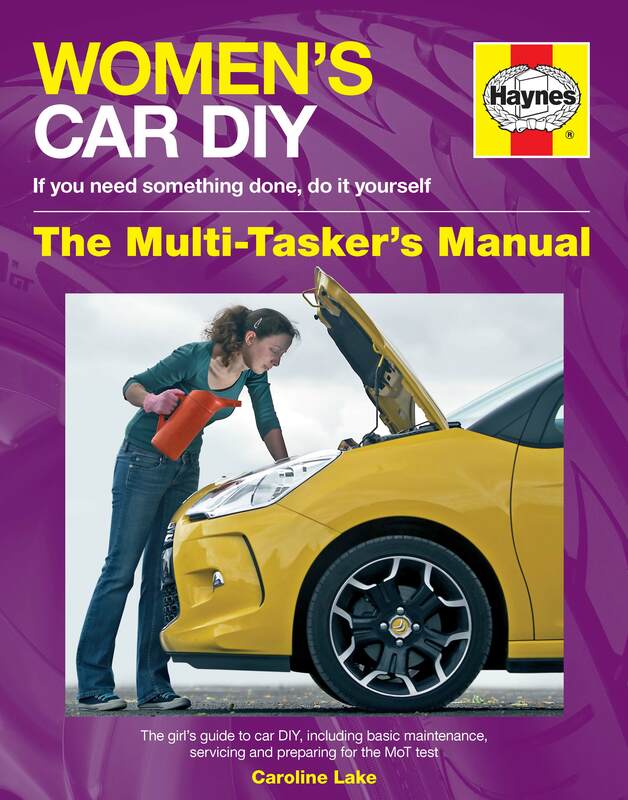 The Haynes Women’s Car DIY Manual provides advice on all areas of owning, maintaining and caring for your car, with colour step-by-step photos showing how to carry out general procedures. 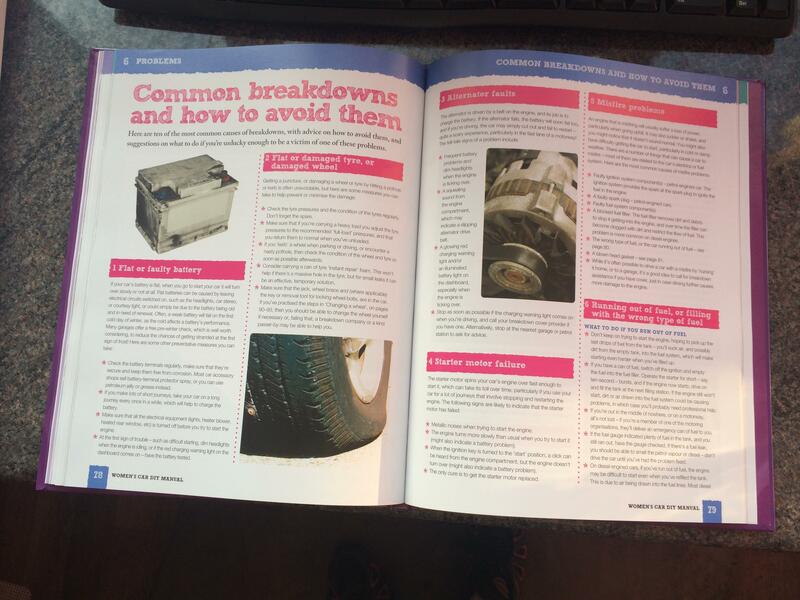 It also explains what goes on with servicing and MoTs, showing you how to save money and learn more about your car by tackling some of the jobs yourself, and providing you with the knowledge and confidence to deal with your local garage. 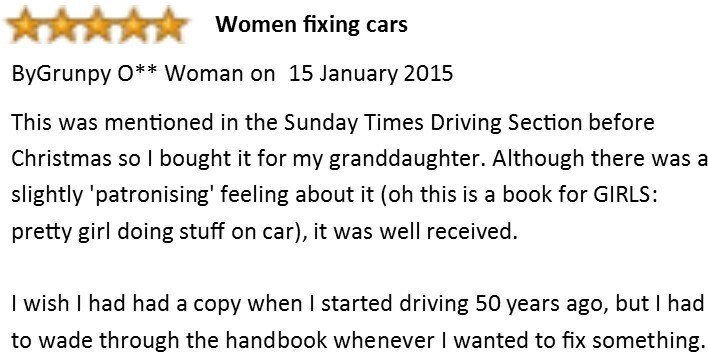 Women's Car DIY can be purchased direct from Haynes Manuals, Amazon most major bookshops and many online retailers or direct from myself for £17.99 post free. I can also add a dedication if you wish. Just click on the PayPal button below.